We are a small, friendly pre-school providing a happy, safe, caring environment that is stimulating and challenging for children aged 2 to 5. We are passionate about the quality pre-school care and education we offer, and in providing the very best start for all our children. Our spacious building in the grounds of Pannal Primary School is surrounded by fields and woodland and is the perfect setting for all our learning and play. 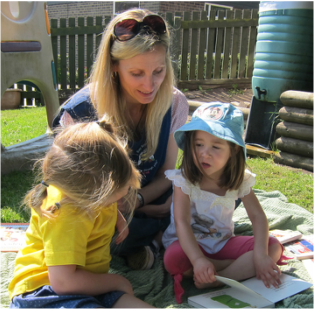 Children can choose from lots of different activities each day including painting, stories, building, role-play, baking, gardening and singing. We are also fortunate to have a fantastic outdoor area where we have fun every day. We are a non-profit making organisation and registered charity (No. 1035749). We offer 3 & 4 year old funded places, as well as 2 year old funded places for those children who are eligible. Our timetable offers a choice of morning sessions, afternoons and full days during school term time only. If you would like to find out more, you are welcome to have a look around and chat to staff. Call (01423) 870351 or email busybeespannal@yahoo.com to arrange a visit. Download a pdf of our latest 2017 Ofsted inspection report here. We are continually developing and updating our policy and procedure documents in line with current legislation and guidelines. Click here to view these documents.